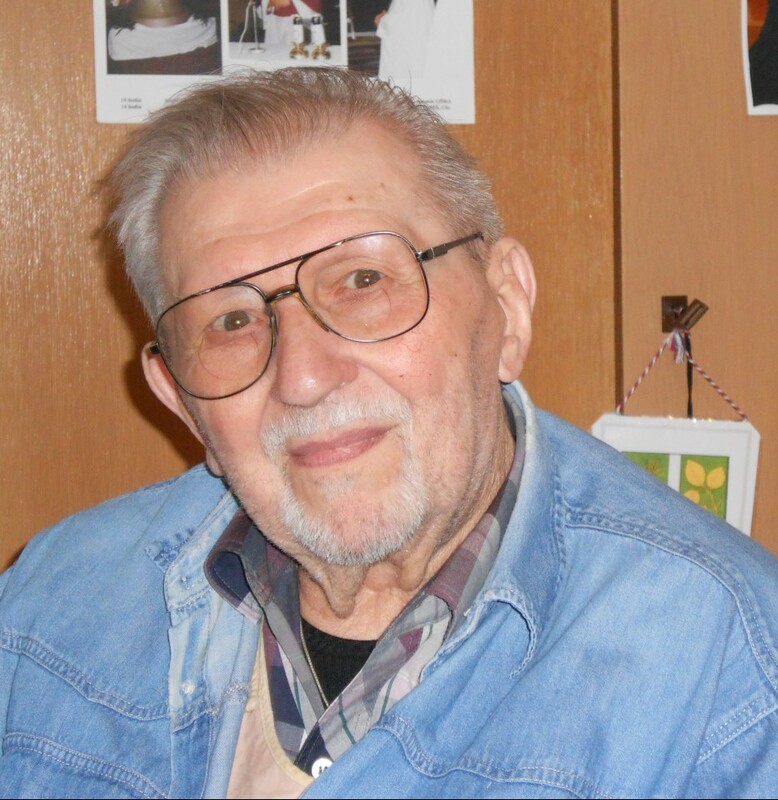 The catholic priest and editor of Radio Free Europe, Monsignor Karel Fořt, was born on November 8, 1921, in Rožmitál pod Třemšínem and spent his childhood in Vodňany and Horaždovice. He attended grammar school in Strakonice and České Budějovice. In 1940, he was arrested by the Gestapo and briefly imprisoned. In 1941, he joined a Catholic seminary. The following year, he was taken to forced labor in Linz, where he met face to face with Adolf Hitler. 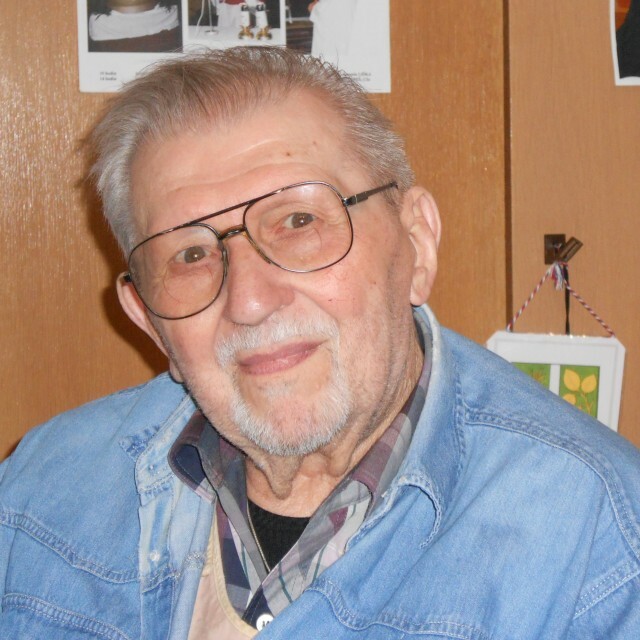 After the war, he completed his theological studies and in 1948 he was ordained a priest. 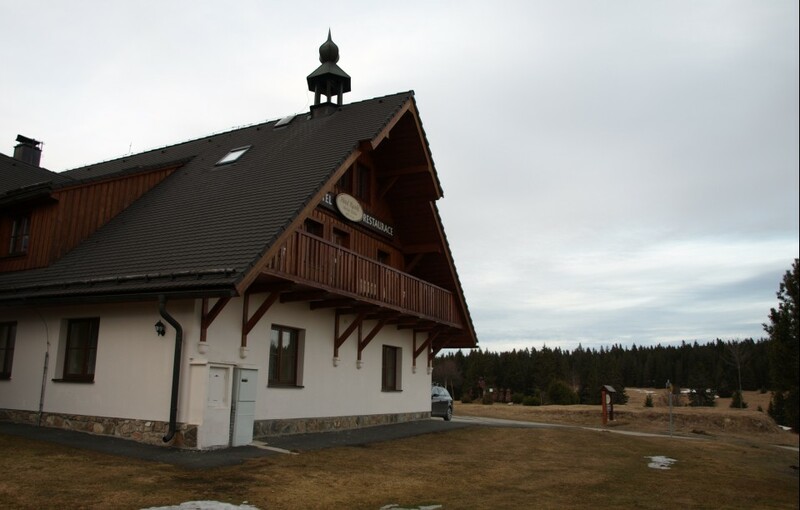 He worked at the rectory in Vimperk and toured the secluded and abandoned parishes of Šumava. At the last moment, he was warned about the intention of the secret state police that wanted to arrest him and stage a trumped-up show trial in connection with a murder that had taken place in the area. He escaped on a motorcycle across the border. He served as a priest in Algeria, where he experienced the anti-French uprisings and civil war. Eventually, he settled in Munich, where he served as a priest to his Czech countrymen and also worked as a journalist for Radio Free Europe. After 1989, he lived alternately in Munich and in České Budějovice. He died on January 21, 2014, at the age of 93. 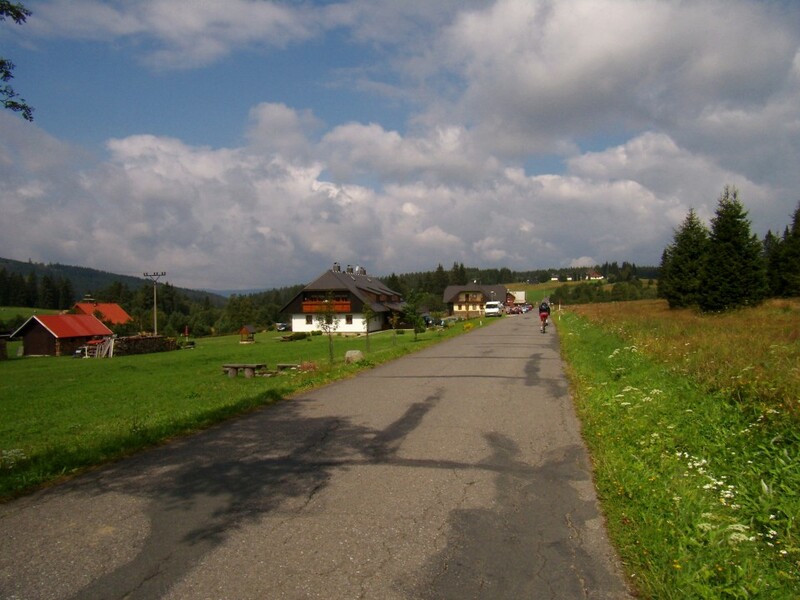 Horská Kvilda, (Innergefild in German), is one of the highest-altitude villages in the Czech Republic, (it is situated 1,070 meters above the sea level). It consists of cottages scattered throughout a forest. There are about 30 of them to be found in the village today. 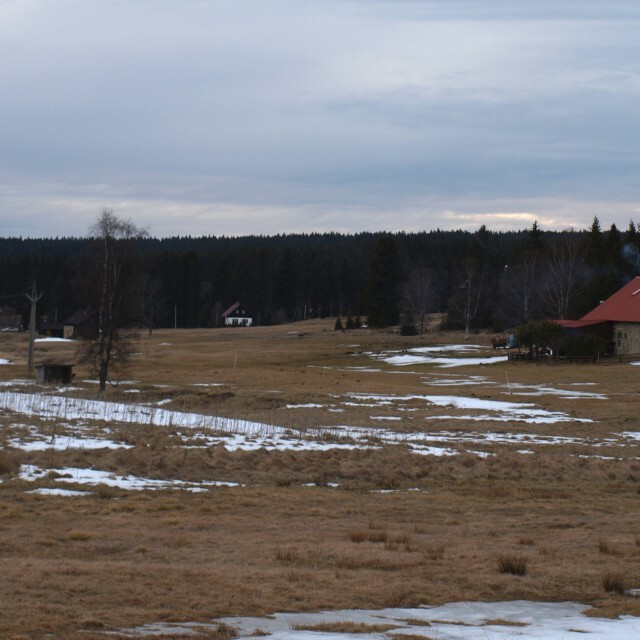 It is located in the Šumava highlands with its many typical wetlands. The Hamerský potok Creek runs through the village. The first reference to this village is dated to 1577. Traditionally, most of the population had German origins. It is said that the relatives of Karel Klostermann also lived here. 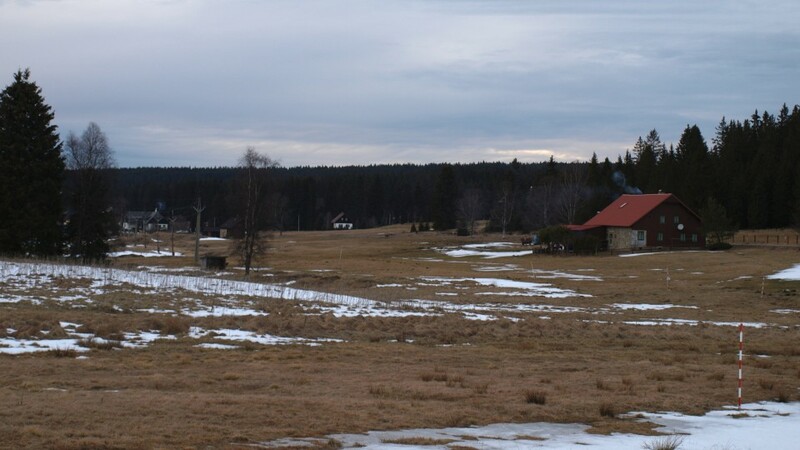 In addition, Horská Kvilda is interesting from a meteorological point of view because it is also a frost basin. It isn’t unusual that the temperature drops below zero even in the summer here whereby it attains the status of one of the coldest places in our country. At the last census, (2011), the village counted 98 inhabitants, which three-fold increase compared to 1998.